The Mazda 3 has officially been recalled in the United States for an issue pertaining to a faulty shut-off valve in the car’s fuel tank. It’s said that some fuel may be allowed to enter the fuel tank’s emissions system (a charcoal filter canister that seals vapours from the tank), resulting in a leak if too much fuel enters it. 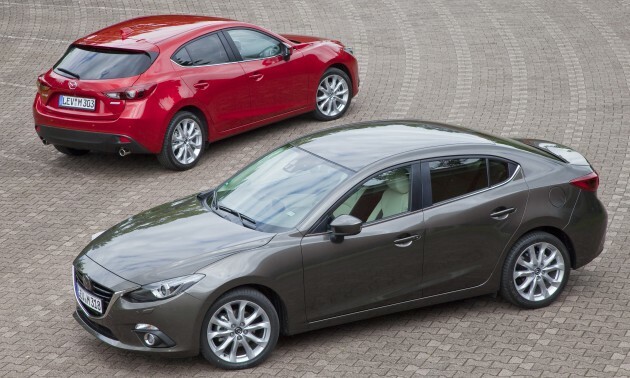 As part of the recall, 14,270 Mazda 3 sedans and hatchbacks of the 2015 and 2016 model years are affected. Currently, no accidents or injuries have been reported due to this issue, but Mazda Motor Corporation has issued a stop sale and stop delivery order until corrective measures have been taken to fix the issue. Mazda North America will contact owners affected by the recall, who will be advised to bring their vehicles in to have the fuel tank and the faulty valve replaced. Owners of the Mazda 3 here in Malaysia need not worry, because the recall only concerns those in the United States. Mazda 3 models in Malaysia are not affected, as confirmed to us by official distributor Bermaz Motor. Because Malaysia is a small market, we will probably get our recall later or never. Mazda 3 sold in the US are built in their Mexico factory. Different to Malaysia. Different specs. Different conditions. proton x pernah pun recalled..power la jaguh kampung ni..
No recall = better car? Dia bodoh, u pun bodoh. Google lah Proton recall. Even in PT oso got article. Lazy betul Malaysians ni! can trust bermaz words? u just never know..